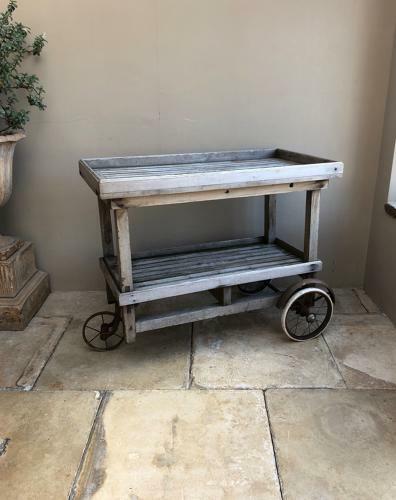 1920s Unusual Weather Bleached Slatted Oak & Pine Pool-Side Trolley. Good sturdy, solid piece in very good useable order...the wheels aren't the best runners but do look the part. The measurements on the listing are the max (including wheels) the acutal measurements of the trolley part only are 90cm wide x 43cm deep.